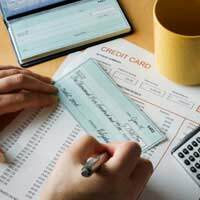 If I get into Debt can I get Credit in the Future? Home > About Debt > If I get into Debt can I get Credit in the Future? Debt is a reality in the UK today. Debt is no longer something that only the desperate fall into. Many of us have debts but manage to carry on with our everyday lives. Student debts, mortgages, loans – they’re all part of our culture nowadays and you’d be hard pushed to find more than a handful of people who haven’t at some point been in debt. However these types of debts do not necessarily affects our lives. We can still enjoy a social life, live normal lives and, where necessary, get credit. If you have student debts for example, you should still be able to obtain a mortgage. If you have a mortgage you are still able to get a loan for home renovations or a new car. But there are some debts that are much more detrimental. Some debts can have a serious affect on your ability to get credit and in many cases the action taken to get out of debt can itself affect your chances of obtaining loans etc.Of course this makes sense. When someone is deeply in debt the idea of obtaining more credit, and no doubt worsening you debt, is irresponsible. Often, though, this is not the case. Sometimes a person who is safely on their way to getting back on their feet can be affected by debts in the past. These people may find it difficult to obtain credit for many years to come. The affect on your ability to gain credit depends chiefly on the type of debt you have and the action taken to get out of it. When you have not paid back your debts your creditors – the people you owe money to – can take out a County Court judgement against you. Once the CCJ has been taken out you can pay back the debt and avoid going to court. If you do not you must go to court hearing. If you go to court it will decide whether or not you indeed owe the money and decide how you are to repay it. If you have a CCJ then it may affect you getting a mortgage. Sometimes a mortgage lender may not allow you to take out a mortgage if you have a CCJ. Others may allow you to borrow but limit the number of CCJs you may have. In the current lending climate, where lenders have tightened their lending criteria following the credit crunch, lenders are more likely to look badly on CCJs. If you have severe debts and have entered into either bankruptcy or an IVA then you may find it difficult to receive credit, even several years after being discharged. With both IVAs and bankruptcy, even after the period of being in either has ended, you may find that lenders will refuse to lend to you. Both IVAs and bankruptcy leave a stain on your credit profile and lenders may not look kindly on this, especially after the affects of the credit crunch. Getting into debt can be difficult and you may look to any option to get out of it but it is important to consider the consequences of the action you may take.